Recently I was tagged by Sherri from A View From My Summerhouse to take part in the Black and White 5 Day Challenge. Because I’ve been on holiday and therefore out walking I’ve had quite a bit to write about this last week so, instead of a roundup of the week this is my take on the challenge. 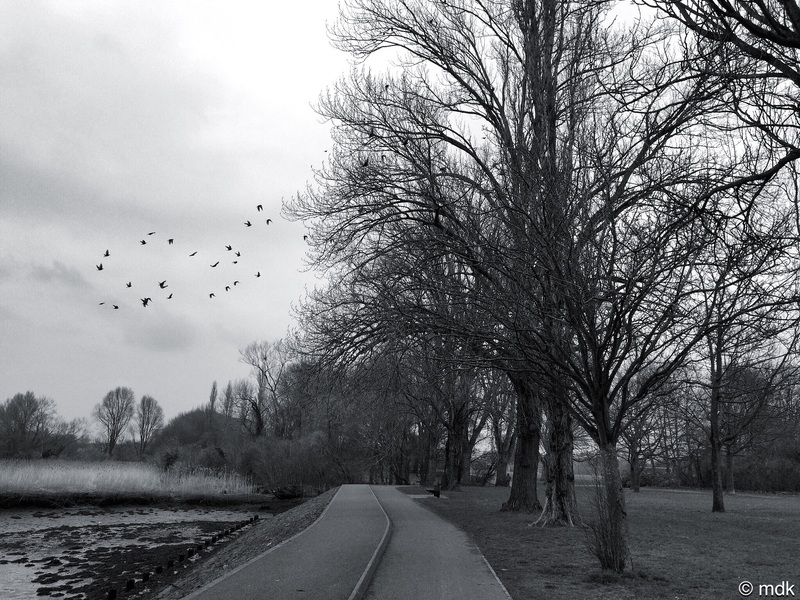 On 5 consecutive days, create a post using either a past or recent photo in B&W. Each day invite another blog friend to join in the fun. 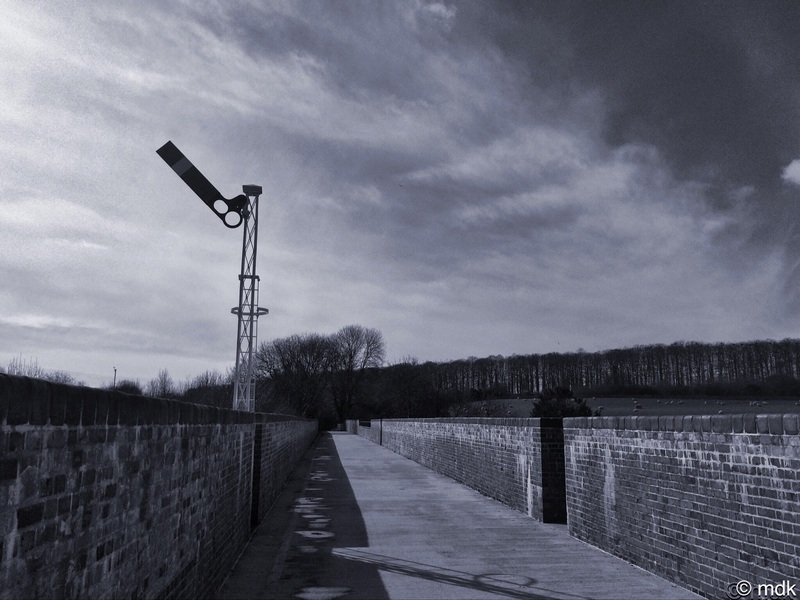 The first three photos are from my Hockley Viaduct walk. 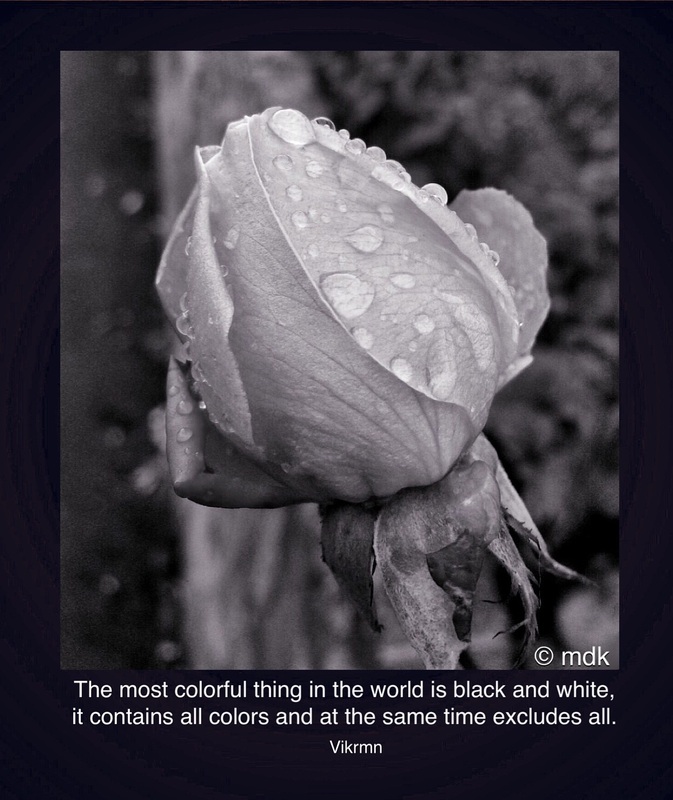 It was difficult to find pictures that would work well in black and white. There was a lot of trial and error and some discussions with Commando Junior who knows about photography. 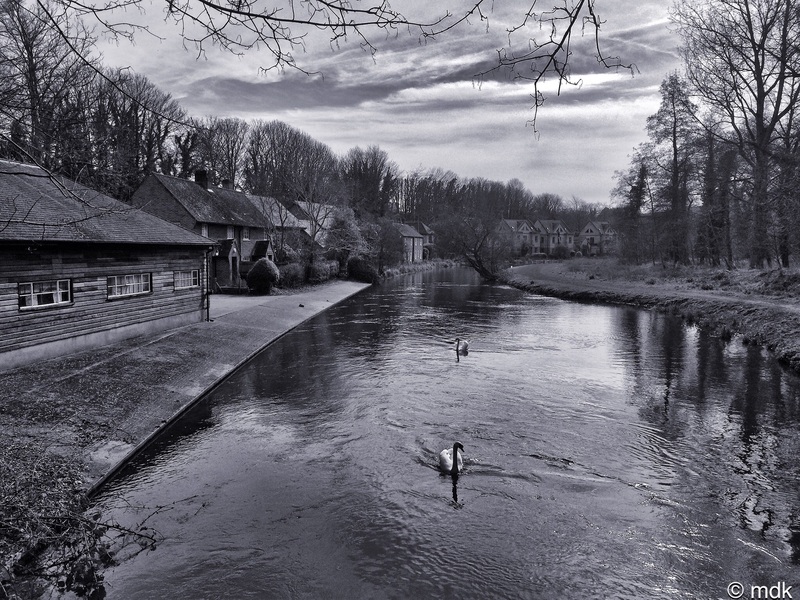 The first is looking along the Itchen from Blackbridge, I liked the way the lack of colour brought out the patterns in the water and how the buildings suddenly looked older and more interetsing. 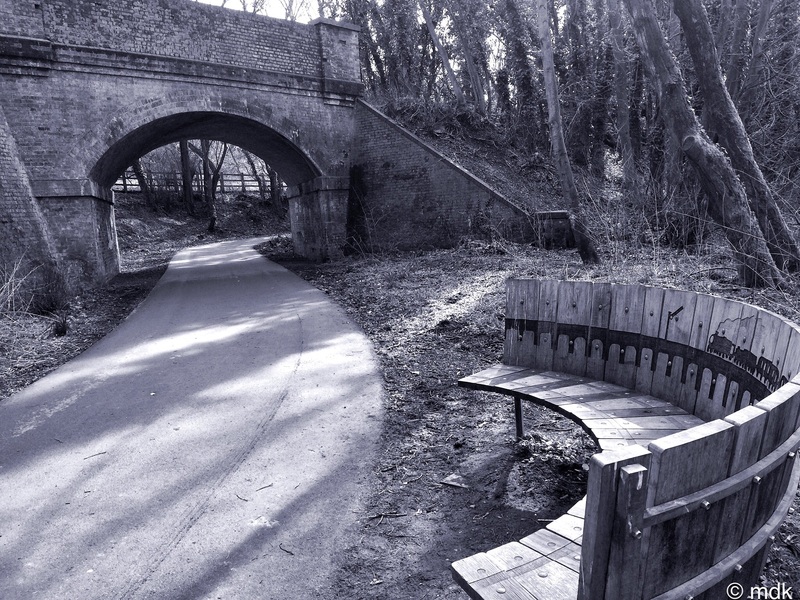 The second is of the railway arch and train bench close to the start of the viaduct, the shadows and the brickwork on the bridge really benefitted from the monochrome look. Finally a moody looking shot of the restored signal on the viaduct itself. The dandelion motifs on the path were lost but the variations in the shades of the bricks became more pronounced. It surprised me just how different things look without the distraction of colour. The next set of photos are from the Five Bridges Road trail. 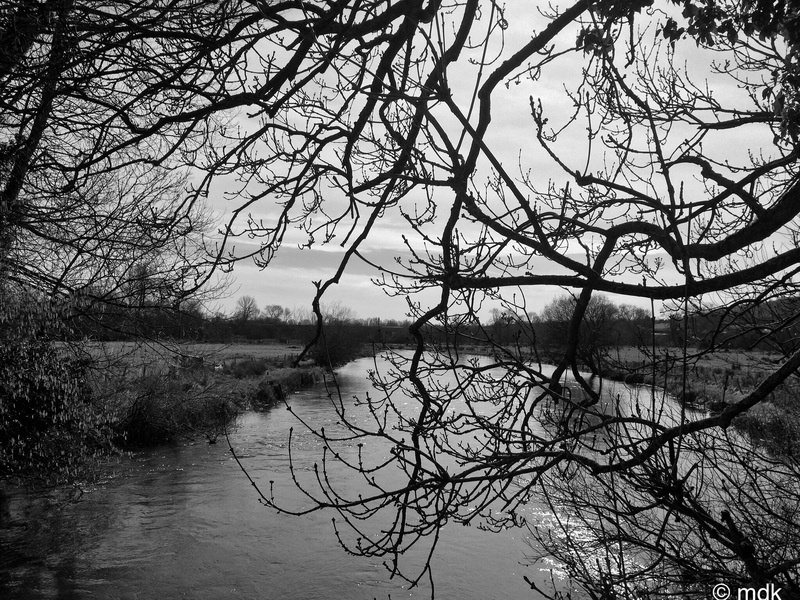 Photo number one was one of my attempts to photograph the viaduct across the water meadows. It didn’t work because I was shooting into the sun but, in black and white, the arches are almost visible and I loved the way the branches turned to silhouettes against the sparkling river. 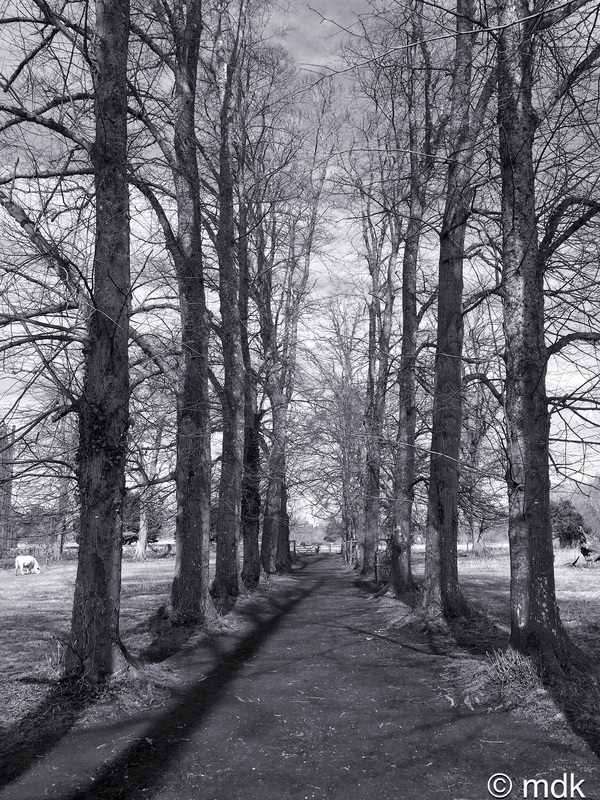 The second picture was the avenue of trees by St Cross Hospital where the loose cows frightened me. Without colour the cow looks less threatening and the texture of the tree bark really stands out. My third shot didn’t actually make it into the post because, as ever, I had way too many photos. 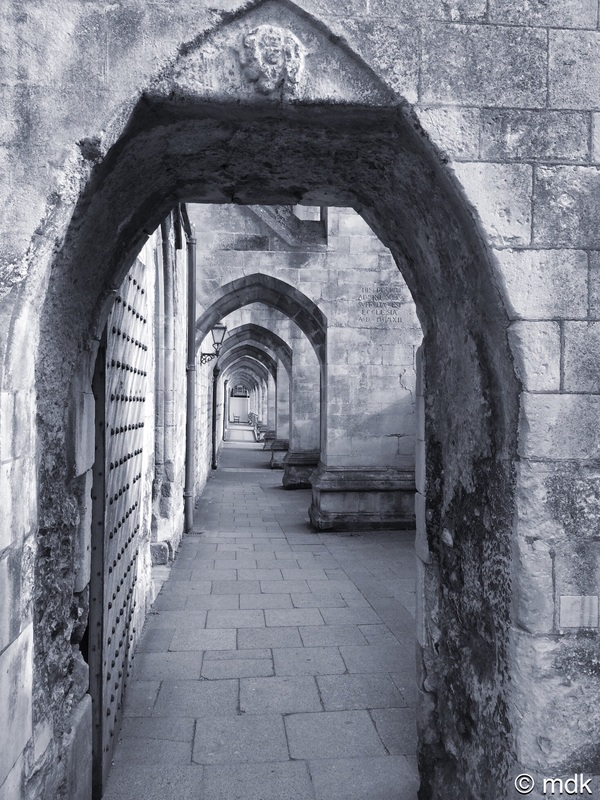 The arches at Winchester Cathedral look much to same with or without colour but I think the atmosphere of the photo is different. The stone looks far colder and I could almost imagine a ghostly monk around the corner in this version. 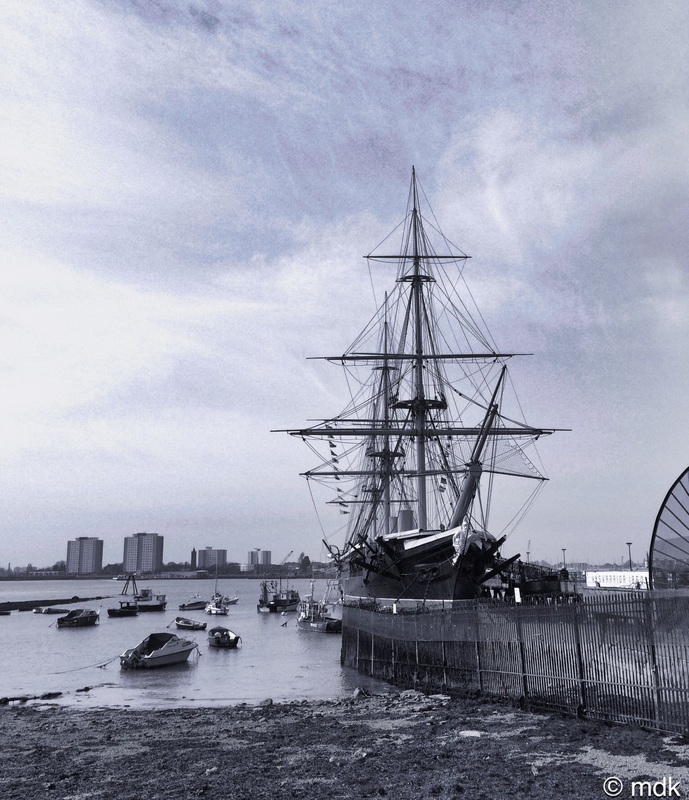 The day three photos come from my historic dockyard trip. 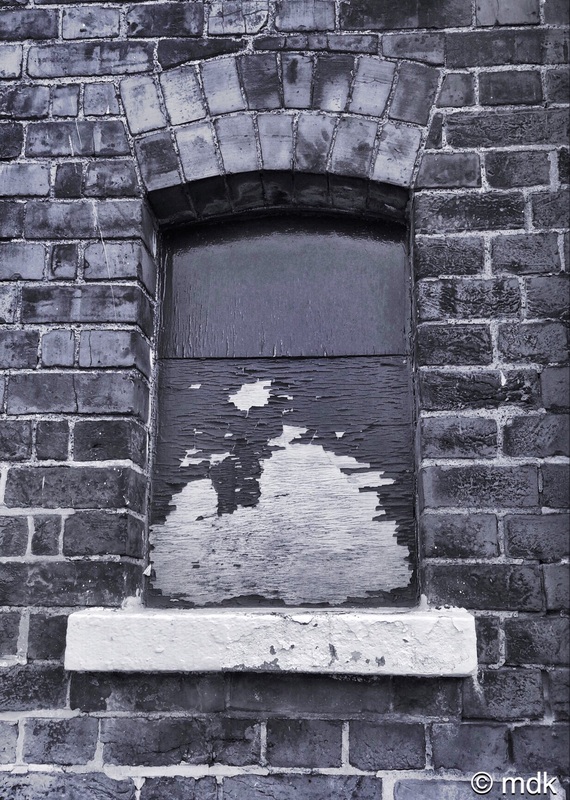 Despite my sadness over the run down state of my local station, I have to admit that peeling paint and old bricks look rather good in black and white. 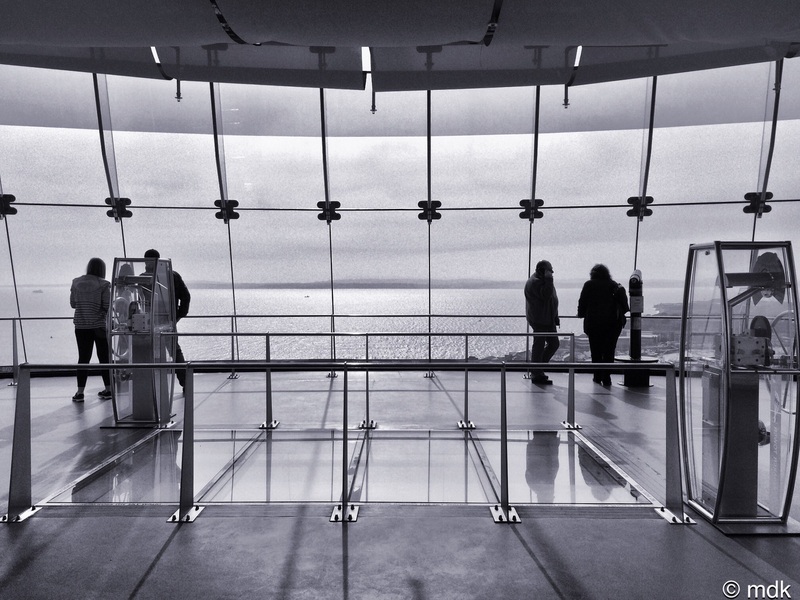 The second photograph felt a little like cheating because the tinted glass meant there was very little in the way of colour in the picture taken inside the Spinaker Tower to start with. A little fiddling though and the chrome and glass seemed brighter and crisper and, in fact, I like it better than the colour shot. Finally, I couldn’t resist the temptation of a huge sailing ship sans colour. The rigging and the sky were the big differences when I compared it to the colour shot. Black and white really does bring out the detail. The Saturday Parkrun provided the photos for day four. 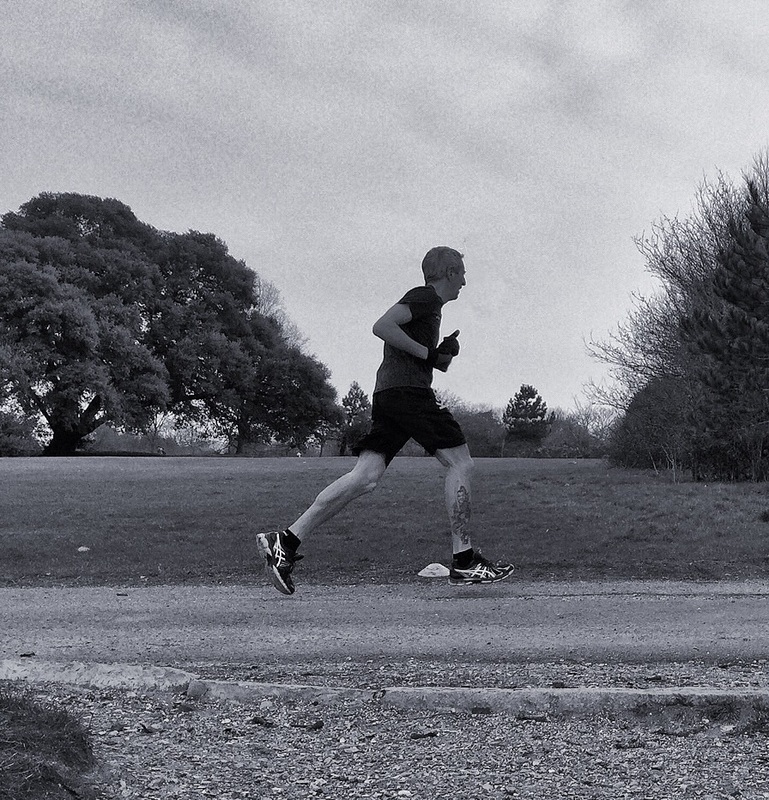 It took a fair bit of time to find photos from the run that worked well in black and white but, in the end, I settled on three. 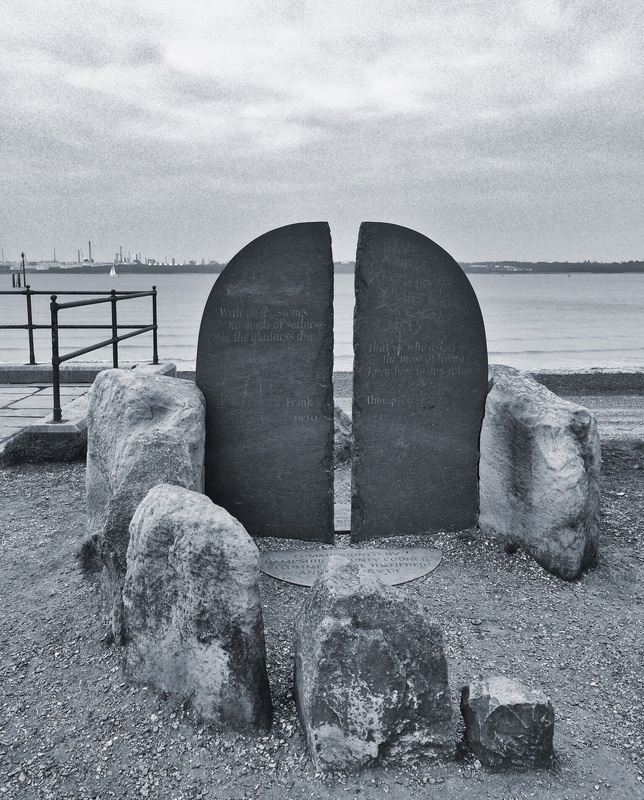 The D-Day memorial on the shore looked good in shades of grey, especially the rocks around it. 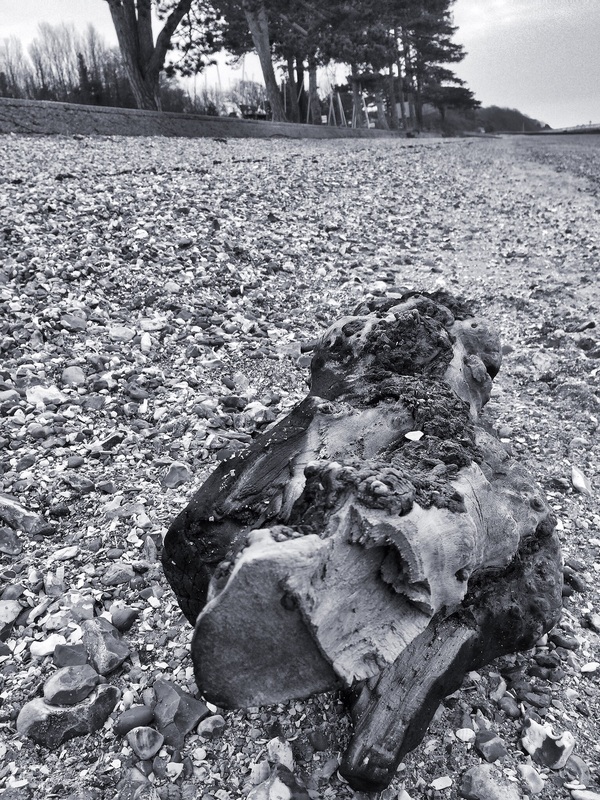 The second shot I chose was of the driftwood on the beach. Although I like the way the grain in the wood looks and the details that came out on the pebbles, it didn’t work quite as well as I’d hoped. Even so, I’ve included it. Finally, shot number three had to be of Commando running. I cropped this shot as I wanted Commando to be centre stage. One of the things I liked about the original was that I caught him in mid air. In the black and white version this more pronounced. It really looks as if he’s flying. The final three photos are from my Sunday walk along the river. 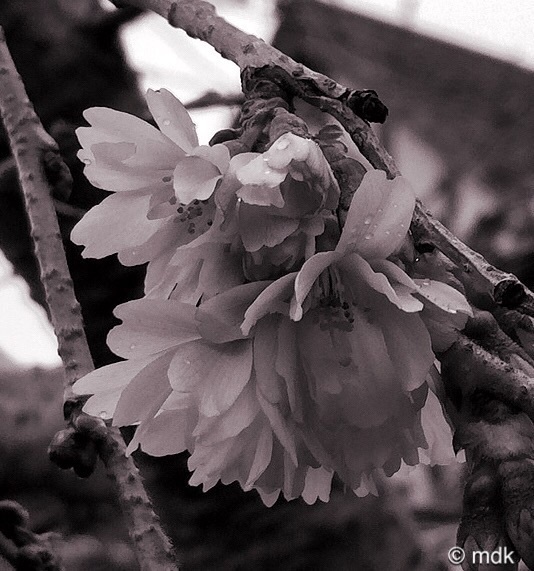 Despite being innately colourful things flowers seem to do very well in black and white and my first picture is of the blossom tree that flowered through the winter and is flowering again now. I couldn’t resist the merest hint of pink in this one though. The inside of the church is my second photo. 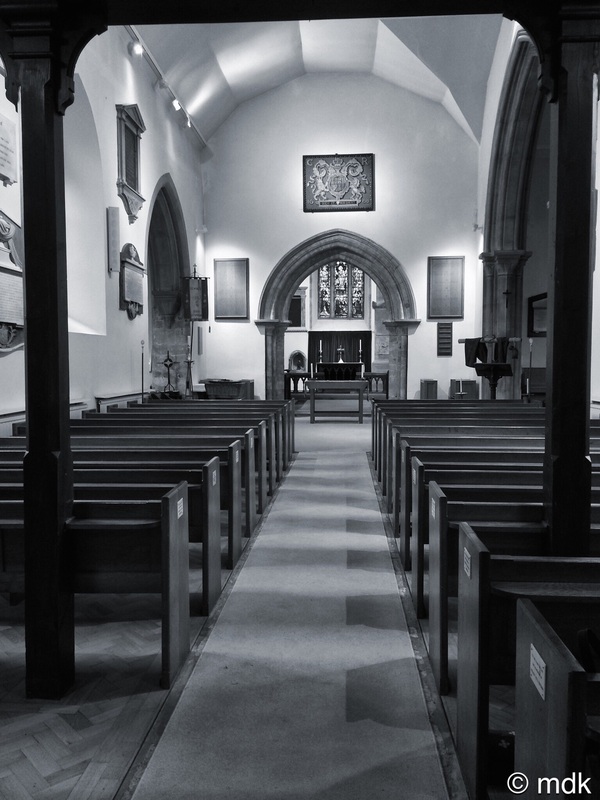 As with the arch at Winchester Cathedral I think old buildings lend themselves very well to monochrome photography and I especially like the shadows of the pews, which I’d not noticed in the colour version. Finally, the mass of little birds in flight by the reed beds brings my black and white adventure to a close. In the spirit of breaking rules, I shall not be nominating five people to take part in the challenge but I will throw down the gauntlet to all my WordPress friends to have a go at this challenge. Go on, I dare you!